The parish choir sang the Divine Services prayerfully and beautifully under the direction of Julia Easson, the parish Choir Director. 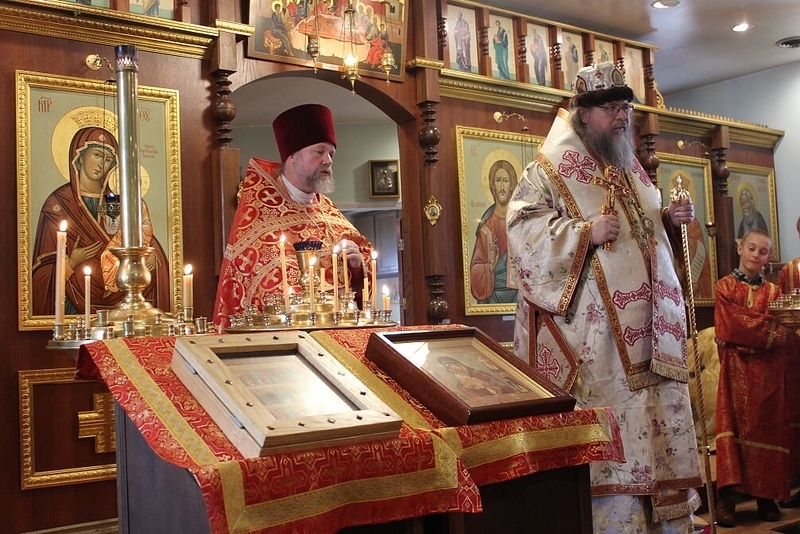 Following the Vigil on the eve of the feast a festive meal was held in honor of Metropolitan Jonah at the home of the parish’s Assistant Starosta. 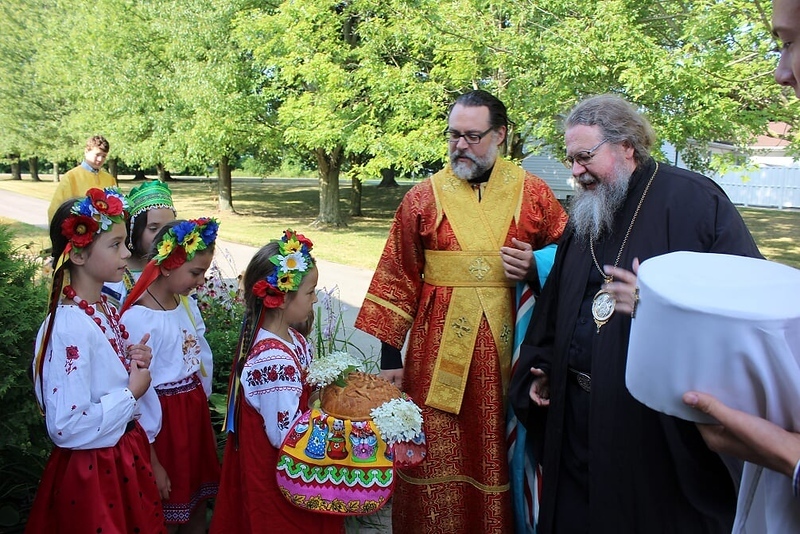 Following the Divine Liturgy on the feast day itself, at which a multitude of faithful partook of Holy Communion from two chalices, a cross procession was held, followed by a picnic for all in attendance. 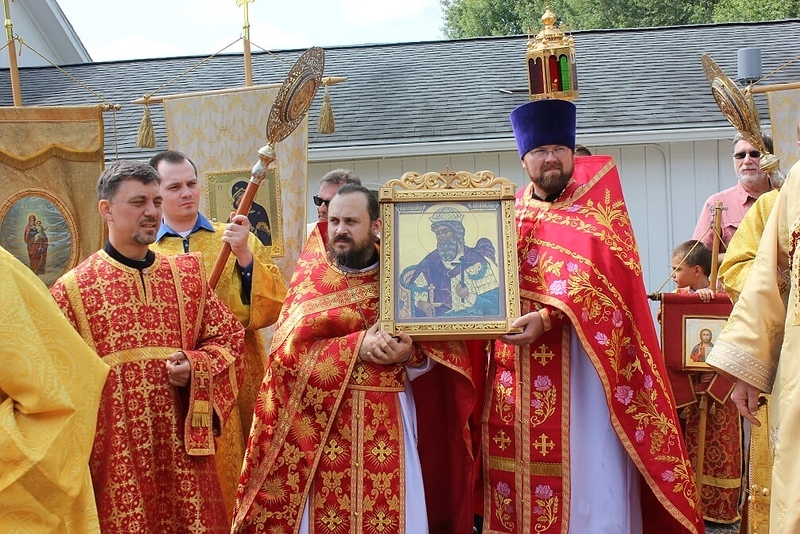 Metropolitan Jonah commented favorably on the parish’s growth and activity since his last visit several years ago. In return Fr. Gregory Joyce greeted His Eminence in the name of Archbishop Peter, and thanked him for his pastoral care and his willingness to travel to lead the parish on its Second Pascha. 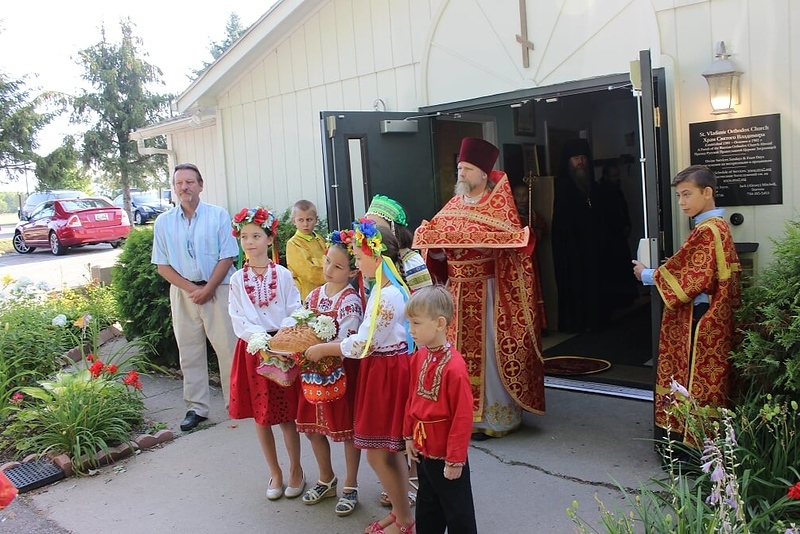 The gathered faithful lingered long into the beautiful Michigan afternoon under the picnic tent recollecting the festive services, and St. Vladimir’s Days past at the parish. With Archbishop Peter’s blessing the parish is completing the construction of a parish cemetery and intends to begin construction of a parish day school later this year. 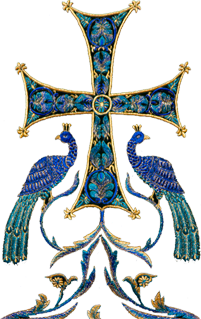 The parish family asks prayers for the success of these projects. Pictures of the festvities can be found here! Application period for the Pastoral School fall semester is now open!